The first AA_Aarhus Visiting School is taking place in what UNESCO has dubbed the International Year of Light, raising global awareness on the importance of light and light-based technologies. As a part of this global initiative, the AA_Aarhus Visiting School will investigate the use of light in design and how it can be controlled and modulated through physical patterns using computational techniques. The AA_Aarhus Visiting School will recognise, through the use of associative systems, how variation can be used to generate geometries that take internal and external stimuli into account. Stimuli such as climactic, fabrication constraints or structural forces, which will result in a new pattern language specific to the design scheme. The intention of these investigations is to reinvent pattern/ornament in a move towards heterogeneity, informed by the local ecology. We will teach participants how to use digital fabricating tools such as laser cutting and CNC milling machines, as well as modeling techniques that generate these forms for digital fabrication. Participants will fabricate their final design in 3D, based on their desired scale of fabrication. The workshop will take place over a 10 day period from Friday 21st of August until Sunday 31st of August, 2015. Space is limited. 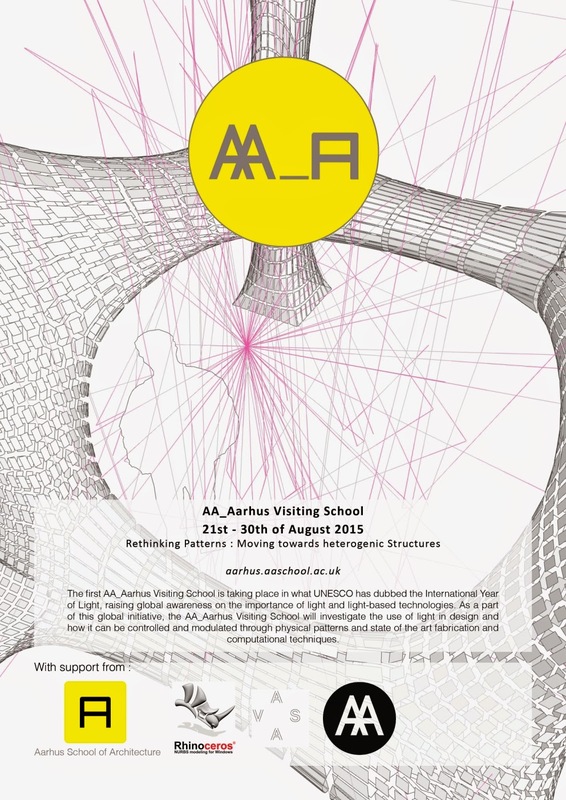 To get more information and to sign up, please visit: aarhus.aaschool.ac.uk.